SUSPECT IN COZY CORNER ROBBERY IDENTIFIED, DETECTIVES BELIEVE SUSPECT COULD BE INVOLVED IN ADDITIONAL UNREPORTED ROBBERIES. Summary: On 05-26-18 at 12:46am, officers were dispatched to 426 N. Harbor Blvd. reference a robbery and shooting that had just occurred. A Male/Hispanic/Adult later identified as suspect Steve Rodriguez entered the Cozy Corner restaurant and was in the process of committing an armed robbery with a black revolver. During the robbery a silver Honda Accord occupied by several subjects was stopped in the drive-thru lane by the window. An occupant in the vehicle shot robbery suspect Rodriguez twice in the upper torso. 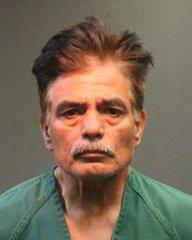 Suspect Rodriguez was transported to a local hospital in critical condition. The suspect and vehicle involved in the shooting of Rodriguez fled the scene southbound on Harbor Blvd. Officers were able to obtain surveillance video of the incident. Robbery detectives will be submitting the Cozy Corner robbery as well as the three additional cases to the District Attorney for review and possible case filing. Detectives also believe that suspect Rodriguez may be responsible for additional unreported robberies. Detectives are additionally looking for information as to the identity of the person(s) and vehicle involved in the shooting of Steve Rodriguez during the commission of the Cozy Corner robbery. The vehicle believed to be involved in the shooting is a silver Honda Accord occupied by several suspects.